Remembering Charles Luter. The 80-year-old Paragould native was a proud supporter of A-State and education in his community. 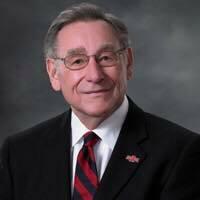 Luter graduated from A-State in 1966 with a degree in business administration. He was appointed to the ASU Board of Trustees by then Governor Mike Beebe in 2011 and served for five years, including being chairman of the Board. In 2016, he was recognized by the ASU Board as Trustee Emeritus for his work on the Board of Trustees. I talked to Dr. Charles Welch, President of the ASU System about his thoughts on the late Charles Luter. Click on the Listen button for the entire interview.